S pend Christmas, New Year’s, President’s Day, Winter Break, or the Spring Break Holidays skiing Japan! Ski, board, or do both to your heart’s delight with a 5-day 9-mountain ski pass and equipment rental included! Enjoy the uniqueness of Japan’s culture and history while hitting the slopes featured in the 1998 Olympic Games. Top it off with a trip to see a local shrine, sake tasting in a historical area, and the delightful, hot-pool loving snow monkeys. You will spend your last night in Tokyo, where the amount of sightseeing you do will depend on the energy you have left. Tokyo and a few of its eclectic neighborhoods to get a taste of this exceptional city of contrasts, culture and great fun. The Japanese Alps famed for its Olympic quality skiing in the Hakuba Valley with its scenic beauty, onsens (natural hot springs) and onsen-loving snow monkeys, and its own proud sake-making heritage. Obuse, a quaint small town in Nagano surrounded by mountains. This fertile valley has become a hotspot of arts and crafts and a home to Japan’s nascent wine making scene. 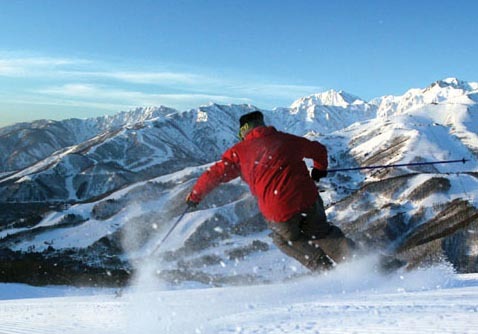 Ski some of the world’s best slopes, including Hakuba which hosted the 1998 Winter Olympics. With your included All Mountain Pass, you have full access to 9 ski resorts, 135 lifts, and over 200 runs! Eat and drink very well! Sampling a range of Japanese cuisine and refreshing beverages, including a tour of new and highly acclaimed Sake brewer along with a healthy portion of tasting. Soak in world famous onsen (hotsprings) with the country’s highest alkalinity levels leaving bathers with incredibly smooth skin and refreshing the mind. See Japan’s famous Snow Monkeys hanging out in their own onsen. 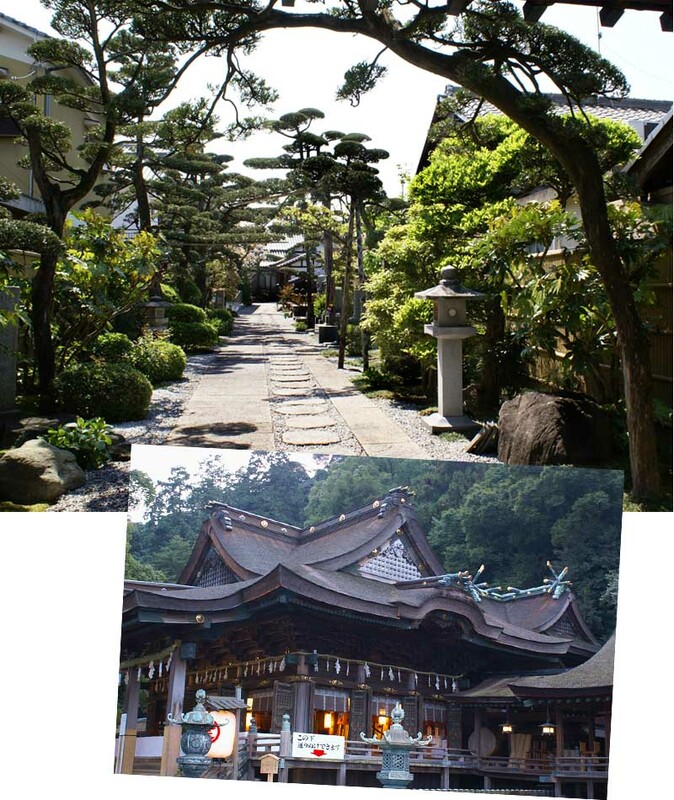 Explore Japan’s historic heritage in its shops, shrines and neighborhoods and temples. Ride the Bullet Train (Shinkansen). Celebrating its 50th anniversary and still one of the best and classiest ways to travel. Hotel Villa Fontaine Shiodome – Modern and sleek business style hotel, with a stunning atrium and very friendly staff, all in a great location from which to explore Tokyo. Hotel Moegi – Happo Hakuba, Japan Alps – Located right at the base, The Moegi is one of Hakuba’s best located properties offering skiers and snowboarders fantastic access to Happo One, located right there at the base of the Happo Gondola and pretty much within a few feet of the ski slope. A very nicely maintained and well looked after property, the Moegi has a great lounge and lobby where one can relax in front of the fireplace while enjoying a cold brew or enjoying a hot coffee looking out into the white winter surroundings. The hotel also offers a natural hot spring and charming hosts to better compliment your stay, with the Happo Village only a short walk from the hotel. Akasaka Excel Hotel Tokyu – An understated fully functional hotel located in the vibrant Akasaka neigborhood of Tokyo, making it a great place from which to explore Tokyo. The Conrad Hotel – New, Stylish and Elegant, boasting fantastic City View rooms with all the attention to detail and service you’d expect from a Conrad property. And all in a great location from which to explore Tokyo. The Tokyo Station Hotel – Located in Tokyo Station and completely renovated just two years ago, it has an elegance, history and comfort not found in many hotels. And the location could not be any better for transport or taking in the numerous sights of Tokyo with the Imperial Palace, the shops of Ginza, and a good swath of central Tokyo all within walking distance. Mominoki Hotel – Three minutes walk from mountain. Popular with Expat community in Japan. With beautiful natural indoor/outdoor hot springs, excellent location, beautiful comfortable lounge area overlooking the mountain great service and food, warm inviting Pub and entertainment areas, great for party and functions. Ski/snowboard school & activity center. This is great all round hotel – Highly Recommended. The Cerullean Tower Hotel Shibuya – Located just above the fray and energy that is Shibuya, this stylish hotel is a fantastic place from which to explore Tokyo and to relax and refresh. The ANA Intercontinental Hotel – Exceptionally well-located in the heart of Tokyo, it has been the accommodation of choice for business and leisure travelers alike, boasting elegant rooms, facilities, restaurants, and plenty of shops, restaurants, and night life all within an easy walk. Arrive and you’ll be assisted with transport from the airport to your hotel with the evening free to explore the many local restaurants and quaint areas or the bustling night life of Shibuya a short walk from the hotel. In the morning, stroll past Shibuya and on into Harajuku, Omotesando and the Meiji Jingu shrine, where the Emperor worships. Grab a Takoyaki (think octopus fritter) or bowl of noodles in the back streets before heading up to the slopes. It’s now all about enjoying the world class slopes that hosted the 1998 Winter Olympics. Ski the 9 resorts available to you, dotted with numerous restaurants, pubs, and cafes or take a break with a visit to a nearby onsen or temple or stroll the quaint local town. There are also numerous day and half-day tours you can book depending on how the mood and conditions strike you. On the evening of Day 4 we’ll enjoy a festive group meal highlighting that well-known and oh so wonderfully marbled and fantastic Japanese (Wagyu) beef. Today we’ll board your private chartered bus on your way back to Tokyo by way of a stop to see Japan’s famed snow monkeys as they frolic and stay warm in their local hot springs. Following that, we’ll stop off for a fantastic robotayaki lunch at a new slick addition to one of the oldest sake makers in the region which will include a tour and of course an ample tasting of sake. Relax on the bus for the rest of the trip back to Tokyo where the evening is yours to enjoy and explore. Tokyo, Sayonara or Stay On? Your last day in Tokyo is yours to explore, do a bit of last minute shopping or have a last tasty treat before your assisted transport back to the airport for your return journey. Or stay a bit longer and join us on our 3 day tour of Tokyo or weeklong core tour of Japan to experience another facet of this fantastic and fascinating country. Pricing based on a minimum group size of 10. Pricing for smaller groups, additional travel or other accommodations available upon request. Accommodations may be substituted based on availability. 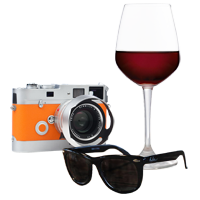 Specific accommodations will be confirmed in your final itinerary. Check in and out times are set, but late check outs can be arranged if asked for. Transport from hotels and to/from airport and to and from ski resort, including Bullet Train (Shinkansen) from Tokyo to Nagano. First pioneered in the early 19th century by farmers with skiing first introduced in 1911 this area has grown from humble beginnings to about 10,000 residents who now make Hakuba home, Hakuba’s character and mysticism of Japan make for a thoroughly enjoyable vacation. Gazing at the mountains in this valley and you see why this resort stands apart from the rest, huge 3000 metre jagged peaks tower above the town below. Stand on top of these snow covered mountains and gaze throughout the valley below is awe-inspiring and the views are post card worthy. The Hakuba Valley is a huge expanse of resorts offering an incredible variety of terrain for skiers and snowboarders alike. From one end of the valley to the other and with 10 resorts accessing over 200 runs and an average seasonal base of 10 meters + of snow, Hakuba is the skiing mecca of Japan. From the southern end of the Valley Sun Alpine incorporates 3 ski areas to the linked resorts of Hakuba 47 and Goryu-Toomi and the Olympic ski resort of Happo-One situated in the heart of Hakuba. To the Northern end of the Valley, Iwatake, Tsugaike, Norikura and Cortina resorts are all impressive and rate highly amongst skiers and boarders alike. From the complete novice to the expert skier, Hakuba provides some of the best skiing in all of Japan. It offers everything from gentle beginner slopes to steeps, bumps and long groomers and of course plenty of fresh powder. 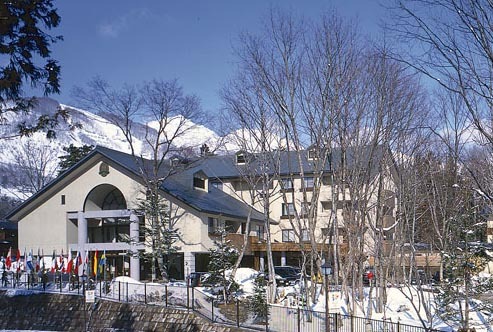 The Happo-One resort, boasting some of the highest snowfalls and longest vertical pitches in all of Japan is Hakuba’s premier skiers mountain. Hakuba 47 and Goryu-Toomi challenges everyone from first timers to experts. Tsugaike and Iwatake are well suited to the beginner to intermediates and Tsugaike is one of the main access points into some of Japans most epic back-country terrain. Then there is Norikura and Cortina and this is better known as being Hakuba’s deep powder resort. With long interrupted tree runs with deep deep dry powder snow. Hakuba’s reputation as a serious skiers destination is well balanced across all levels and offers something for everyone. Hakuba provides an abundant variety of alpine alternatives and adventures for everyone to enjoy. Groomed cross-country courses wind their way through some of the most spectacular terrain to be found in the Japan Alps. Ski the Olympic Cross-Country courses or the scenic Nordic courses at Minekata and Tsugaike Ski Resorts. Experience guided ski/snowboard and snowshoe tours in the Alps or try out, tobogganing, snow rafting and spring heli-skiing that is available in Tsugaike. In international ski circles Hakuba is widely known as being a first class international resort with some of the best and most demanding ski/board terrain in all of Japan. Happo-One was the venue for the 1998 downhill, the slalom and the ski jumping, and continues to host every winter FIS World Cup Events. 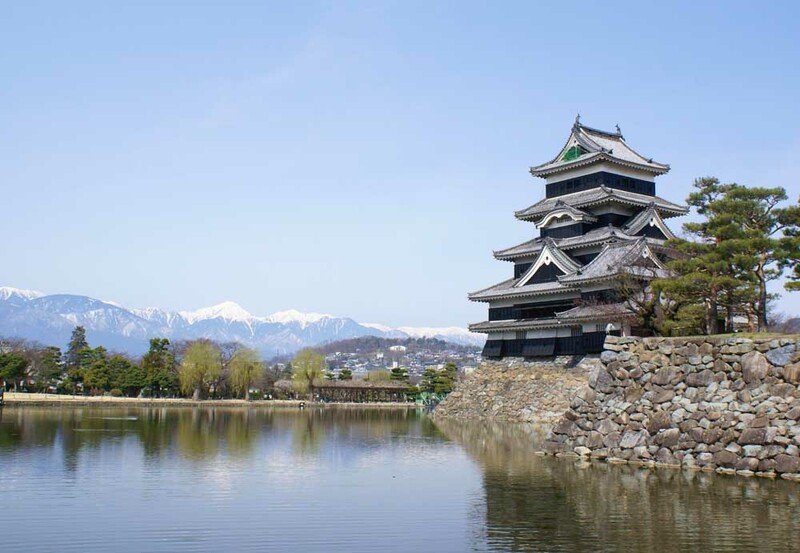 For those wanting to have a break from the Alps, take in the history and culture of Nagano with tours departing from Hakuba to Matsumoto Castle and Nagano’s famous Zenkoji Temple. The Hakuba Valley has a lot to offer with towering peaks, and high quality snow along with ski and snowboard schools for all levels and specially developed kids programs. There are private and group lessons, camps and instructor’s entry levels programs available. For those seeking more of an extreme ski opportunity, then the Hakuba Back-Country here is well known as the best in all of Japan and with our qualified friendly guides this makes for a great way to see more of the huge expanse of what is the Hakuba Valley. Other than big resort skiing, waist deep powder experiences, beautiful blue bird sunny skies, soothing thermal hot springs, massages and body treatments, shopping and where fleece and ski jackets are the norm the next thing to do is experience the Apres ski, which Hakuba has many choices of. With many restaurants and bars there’s everything from hot ramen noodles to fine French dinning and delicious cheeses and great world class wines and then finish the night at any one of the local bars enjoying Japans great beer and sake, both hot and cold.